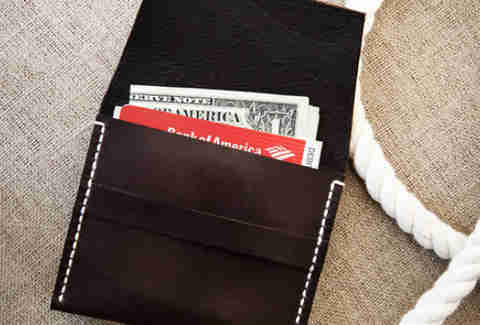 Because Velcro's better left to children's shoes and those paddles for people not coordinated enough to play regular catch, ditch your OP wallet and safely store your scratch with the help of Nate and his Made Goods, a modest lineup of finely crafted, made-to-order wallets (plus biz card cases/ iPhone sleeves) that're handcut/ -sewn from premium veggie-tanned hides by a Ft. Point-habitating "stay-at-home dad"... of, um, "two French bulldogs". 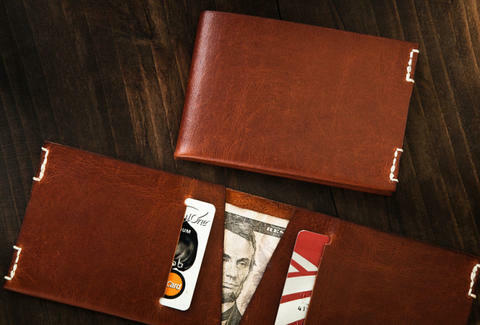 Saddle Wallet: Spacious enough for your cards, cash, and keys, this single-pouch walnut number boasts English Bridle leather that will, like your aesthetically pleasing step-grandma, "antique beautifully over time". 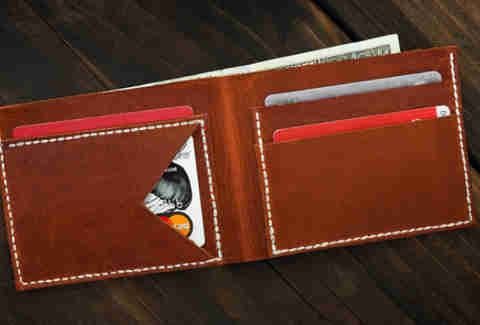 Fargo Billfold: Stitched in light brown Russet leather w/ beeswaxed Irish linen thread, this classic billfold rocks four pockets, including one termed "quick reach", also what your guidance counselor calls it when you apply to hard-to-get-into schools you can say in one syllable. Yay Penn and Yale! Booo Harvey Mudd!!! 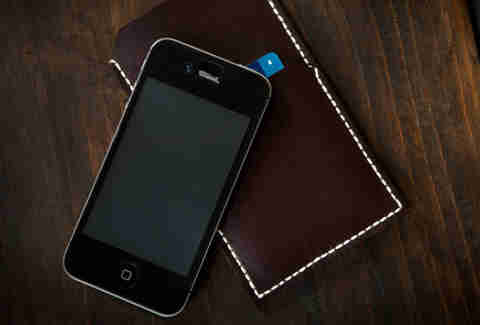 Simpleton iPhone Case: This elegant sleeve is designed to fit 4th-gen iPhones, shrewdly includes a slot for credit cards, and is hand-conditioned with the ever-so-common neatsfoot oil, which will make you a catch, even for ladies who don't carry around neon pink and/or green circular hand paddles.